An entire town of two thousand years ago, mostly excavated last century, which has given us its whole frenetic life and laborious activities of its inhabitants, mostly employed to the trade of food with Rome. Ostia was in fact home of a seaport. 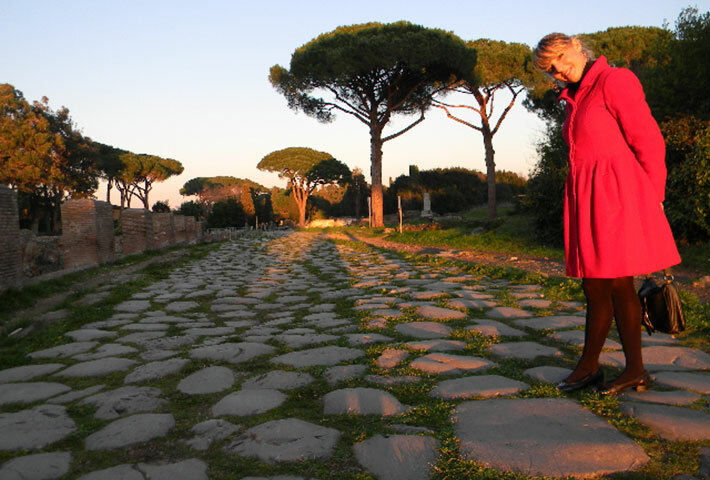 A visit to Ostia Antica, it is almost a necessary complement to Rome. One of the paradoxes of the ancient city of the Caesars is in fact the almost total absence, in elevation, of archaeological survivals of housing type. The ancient capital of the Empire, lived at the end of that world such big changes, powered by constant invasions, to lose much of its immense heritage of insulae and domus private, soon buried by the new Eras. So what you have to imagine in Rome, is visible in Ostia, where we can walking down the Decuman, entering into every house, visiting taverns, bakeries, bathes, squares and the city theater.